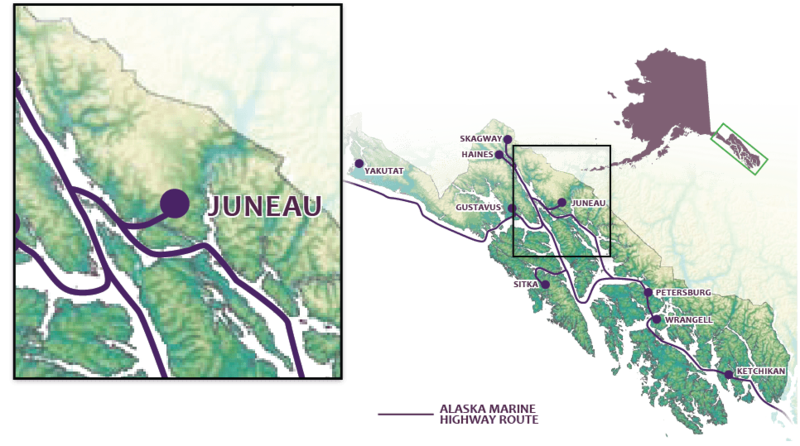 A prime destination for wildlife viewing, Juneau is lucky to have most locations just a few minutes off the road system or accessed from the harbor. Whale watching and eagle viewing are always exceptional and a variety of other sea mammals (seals, sea lions and porpoises) and many species of birds can be found in the immediate area. From April to November, approximately 600 humpback whales inhabit the waters of the northern Inside Passage, and orcas also frequent the area during the summer months. Daily guided whale watching tours are available and rarely return without wildlife sightings. Admiralty Island National Monument, home to the largest concentration of brown bears in North America, is a short flight from Juneau. Prime viewing of the bears follows the salmon runs, which normally occur in July and August each year.